This pattern is my original design and is for sale for personal use. It knits up quickly in bulky yarn and would be a great first time cable project. I began selling my neck warmers in November, 2007 and the pattern in February 2008. Because of its popularity, I try to keep this pattern listed in my shop at all times, so if this item is sold, please go to my shop to look for another one. The finished neck warmer is about 21"-22" long and 4-4 1/2" wide. It will fit women, teens, or men and has two knitted buttonholes and buttons. You can knit in any bulky yarn (about 3 stitches per inch). I have knit this pattern with a variety of yarns including cotton and lighter weight yarns doubled or tripled. 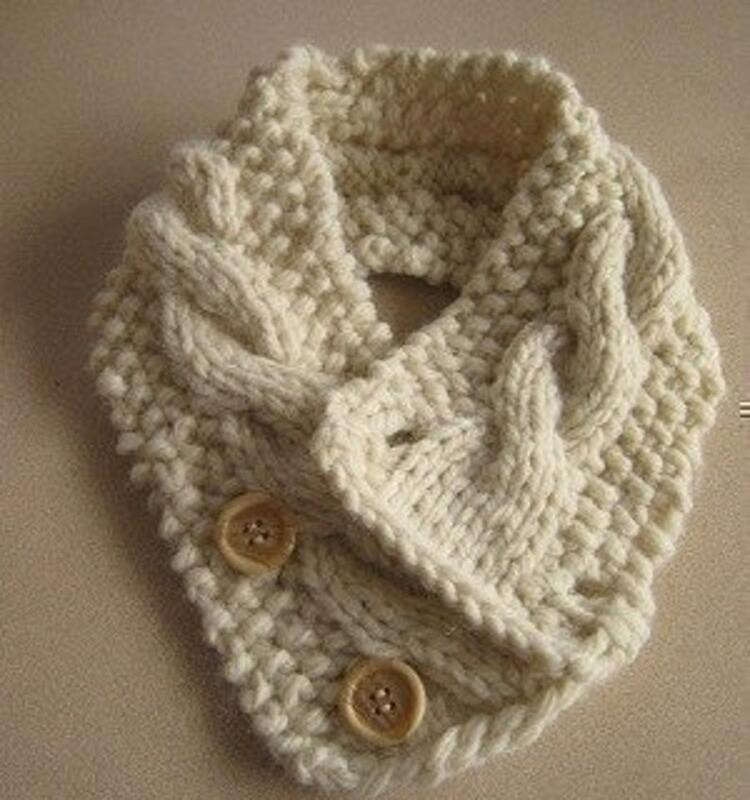 It has all the warmth of a scarf without most of the trouble! The pattern is in PDF form (file size 272 KB) on two pages with clear instructions and five photos. It is available for immediate download after purchase.